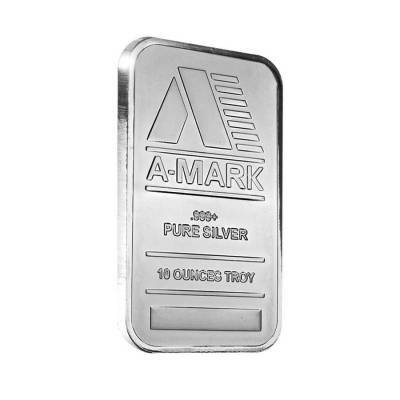 Bullion Exchanges offers A-Mark 10 oz Silver Bar .999 Fine presenting the straightforward and elegant design. 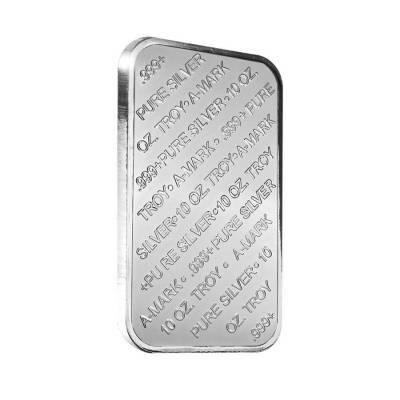 The 10 oz silver bars are highly popular among collectors and investors alike. 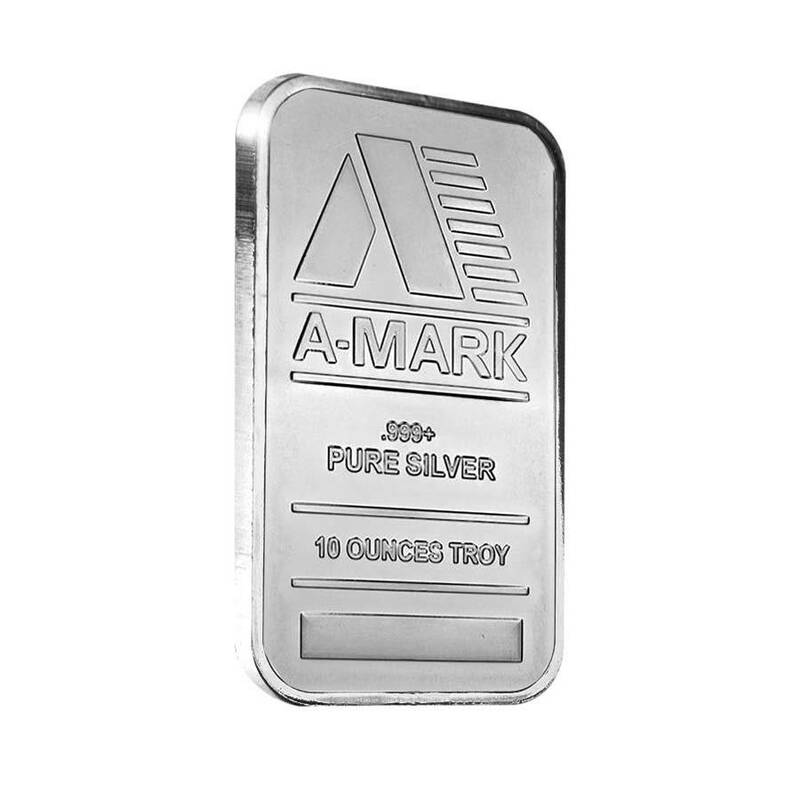 A-Mark is a full-service precious metals refiner based in California, Santa Monica. 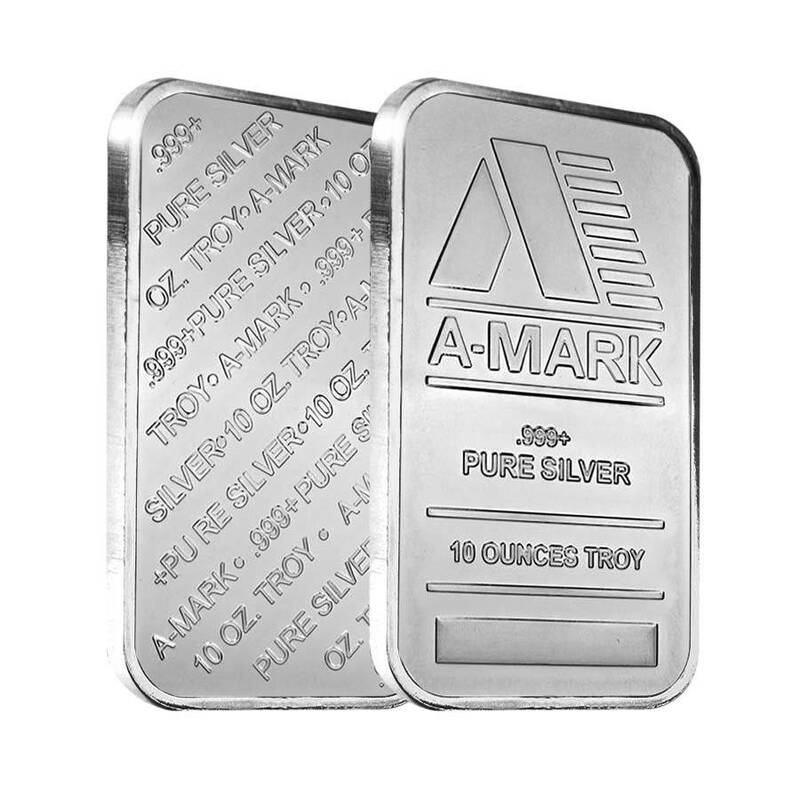 Since the beginning in 1965 A-Mark has become one of the world’s largest distributor of gold, silver, platinum and palladium bullion. 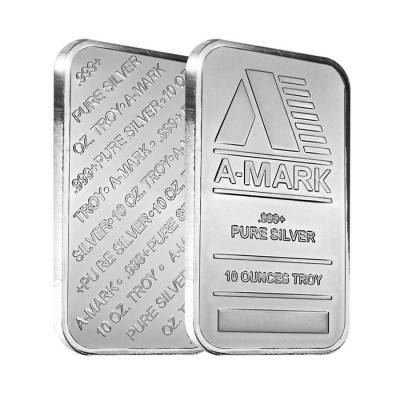 The A-Mark’s design, excellent craftsmanship, and the highest bullion quality are the best evidence that these silver bars are a great investment option and an excellent addition to any precious metals portfolio. These precious bars are also would be the thoughtful gifts to mark important occasions. Made from .999 fine silver with a weight of 10 oz. Obverse: Bears the A-Mark logo, weight, and purity. At Bullion Exchanges, you can be sure you will find only the high-quality bullion. Your order will come carefully wrapped and packaged for a safe delivery. For any questions, just reach us via phone or message us through our live chat, we will be happy to assist you. Get this stunning A-Mark 10 oz Silver Bar .999 Fine today. I've been stacking these for a while, it's a great deal. Fast shipping, bar came as shown. Definitely will order with Bullion in the future for some more bullion! With this purchase, you earn 160 Bullionaire Bucks 160 BB = $0.16. For every $1 spend, you will earn 1 Bullionaire Buck which is equivalent to $0.001 off a future purchase. 160 BB = $0.16.